Looking up an unfamiliar word in the dictionary can be a daunting task for many children. Without specially written definitions suited to their reading level, using a dictionary will be frustrating and discouraging, with each new definition containing more confusing words than the last! Encouraging children to use an appropriate dictionary on their own terms can really help your child become an enthusiastic, independent reader. Here are four things to consider when choosing a dictionary for your child. Is it pitched at the right age for your child? Is it age-appropriate? At best, a good dictionary can stimulate children to widen their vocabulary proactively, by researching the new words they encounter day to day. At worst, an inappropriate dictionary will bore or alienate your child with wordy definitions or overly childish pictures. Children’s dictionaries generally have a clearly defined age guide, which is a good place to start. It’s also worth bearing in mind that some children acquire reading and writing skills more readily than others, which is completely normal! Buying a dictionary together can be a good way to make the experience fun for your child, while ensuring that they find the definitions engaging. A good child’s dictionary will contain example sentences which children will relate to: they ‘walk’ to the park, they don’t ‘walk’ to work. Is your child willing to lug a hardback dictionary, thesaurus, and the full works of Shakespeare to school every day? A wide variety of formats are available to suit your particular needs, from large, brightly coloured picture dictionaries for young children to our all-in-one Mini Dictionary and Thesaurus which easily fits into a school bag. Many dictionaries come with special appendices, pictures, grammatical rules and more. Some children’s dictionaries come with jokes, anagrams, and rhyming words, while others contain creative writing tips from beloved children’s authors. It’s always worth doing a little research to find a dictionary with extra features which are useful and interesting to your child. 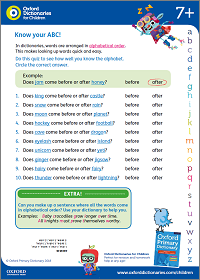 Oxford dictionaries often come with supplemental guides, worksheets and games that you can download online. 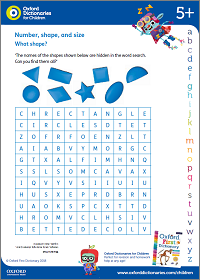 You’ll find some free word games further down this page. Choosing a design or theme which resonates which your child is important at any age. A young Roald Dahl fanatic will of course be drawn to our Roald Dahl Dictionary, full of Quentin Blake’s iconic illustrations and Dahl’s inimitable vocabulary. The Oxford First Illustrated Dictionary contains lovely hand-drawn illustrations by Emma Chichester Clark, and is full of popular characters from children’s stories and fairy tales. The Oxford First Dictionary, on the other hand, features computer-generated images which may appeal to children who prefer computer games to bedtime stories! You’ll find some of our best-selling children’s dictionaries further down this page. Video: Why do we need dictionaries for children? 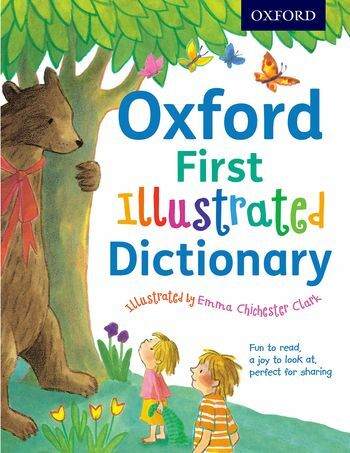 As the Publisher for Oxford Children’s Dictionaries, Sam talks about why we need dictionaries for children, what goes into creating them, and why she loves her job! 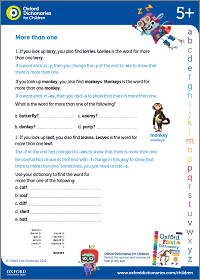 An introduction to first dictionary skills for young children, to help them understand how to use dictionaries to find the words they need. 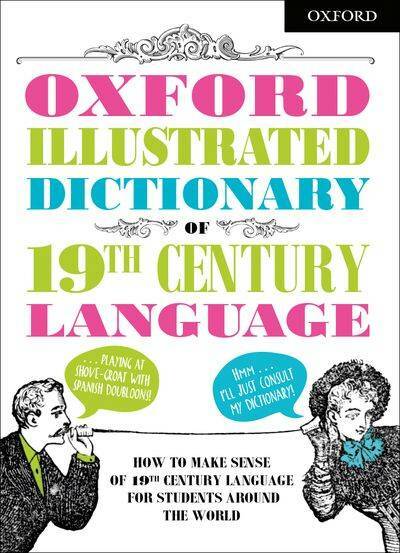 The perfect first dictionary, guaranteed to give a love of language for life! This dictionary includes fun word jokes for children and more information on time, seasons, the body and question words, along with the alphabet, numbers, colours and shapes. Beautifully illustrated by well-known picture book artist Emma Chichester Clark, this book is the perfect first building block for 5–7 year-olds to engage with words and language. 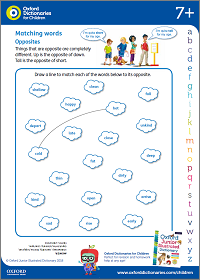 Over 2000 entries give clear meanings and definitions, parts of speech, word forms, word families, synonyms and opposites to build vocabulary and first literacy skills. 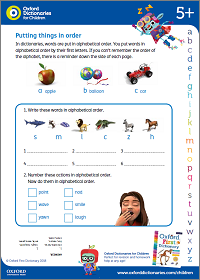 Using the Oxford Reading Tree Floppy’s Phonics Sound and Letters Programme and synthetic phonics, the Oxford Phonics Spelling Dictionary helps children become proficient readers and spellers. 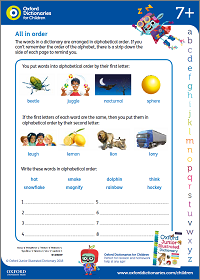 With 4000 words, ordered by sounds and spellings and linked to the Alphabetic Code Chart, it makes preparing for the phonics screening check simple and fun. 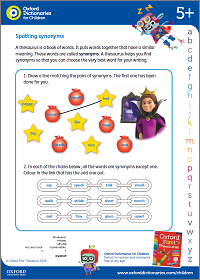 Poetry and creative writing is fun with the Oxford Children’s Rhyming Dictionary, in the classroom and at home. 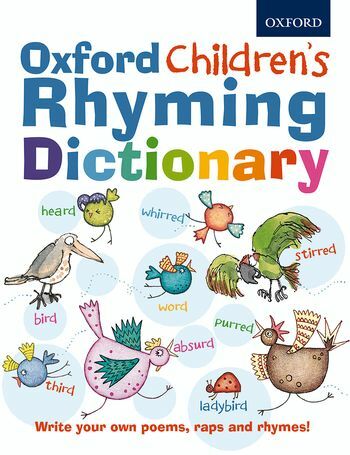 With inspiring poems by John Foster, quirky illustrations and engaging creative writing activities, this alphabetical rhyming dictionary gives over 3000 rhyming words to help children to write their own poems, riddles, and nonsense verse. Lots of dictionaries tell you what an ‘alligator’ is, or how to spell ‘balloon’, but they won’t explain the difference between a ‘ringbeller’ and a ‘trogglehumper’, or say why witches need ‘gruntles’ eggs’, or suggest a word for the shape of a ‘Knid’. This dictionary does all those things. All the words that Roald Dahl invented are here, like ‘biffsquiggled’ and ‘whizzpopping’, to remind you what means what, but that is not all. 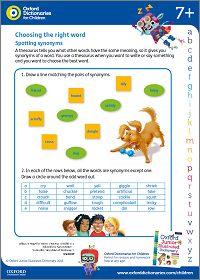 You’ll also find out where words came from, rhyming words, synonyms and lots of alternative words for words that are overused. 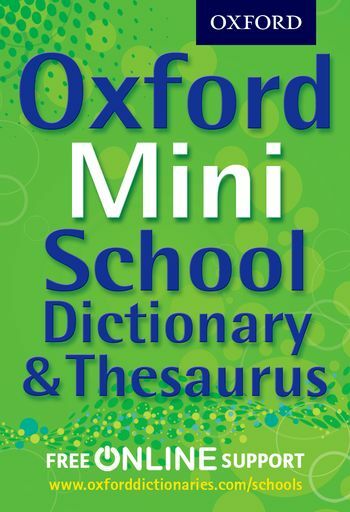 The Oxford Mini School Dictionary & Thesaurus is the ideal one-volume quick reference tool for the school bag. It is the only one of its kind for students ten years plus, ideal for primary school leavers about to start secondary school. Each page has the dictionary entries at the top with the companion thesaurus entries at the bottom making it easy to find the right words quickly. The dictionary contains clear simple definitions, up-to-date example sentences, and support on spelling, grammar and punctuation. This unique dictionary provides clear definitions and example sentences for 3000 interesting, peculiar and difficult words found in the 19th century fiction and non-fiction texts studied at secondary school. As well as help with unfamiliar usage of modern words and dialect, the dictionary includes letter opener facts, panels on the context of the period, and an illustrated section on themes such as transport, crime, fashion and childhood. By demystifying the language of the time and putting its use in context, it will help students to access, and enjoy the novels and poems of the 19th century. 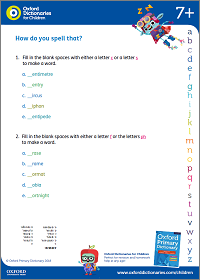 Oxford First Grammar, Punctuation and Spelling Dictionary for ages 5–7. 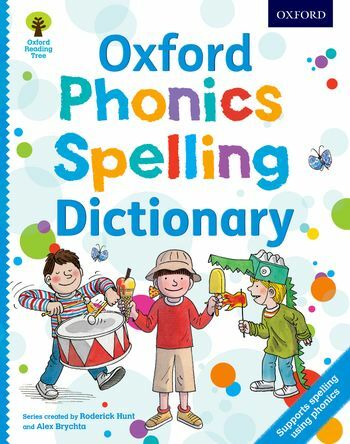 Oxford Primary Grammar, Punctuation and Spelling Dictionary for ages 8+. Oxford Primary Illustrated Maths Dictionary for ages 7–11. Oxford First Illustrated Science Dictionary for ages 5–7. 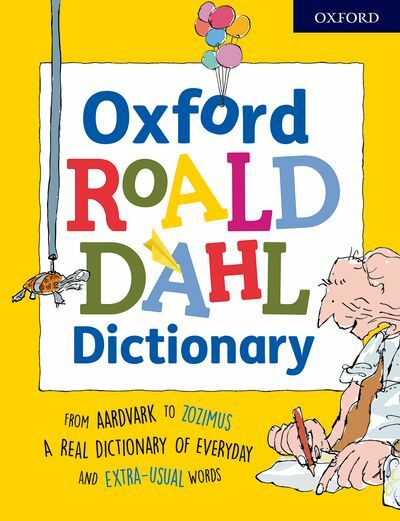 More children’s dictionaries are listed on the Oxford Owl website. Video: Why use Oxford Children’s Dictionaries? 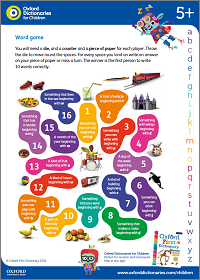 Find out what makes an Oxford Children’s Dictionary different!